Welcome to episode nine of The CUInsight Experience podcast. Hosted by Randy Smith, co-founder and publisher of CUInsight.com. Our guest this week is Maurice Smith. 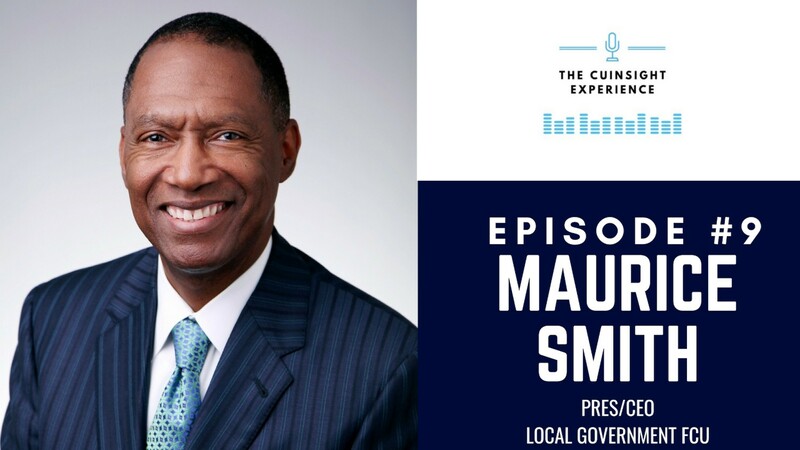 Maurice is the president and CEO of Local Government Federal Credit Union (LGFCU) and the past chairman of CUNA. He is licensed to practice law in North Carolina, the District of Columbia and before the United States Supreme Court, and the author of Sowing Seeds: Life Lessons from My Father. Read Maurice’s full bio here. The goal of The CUInsight Experience podcast is to dive deeper with the people of the credit union community and find gems from their experiences that add value to all of us. In each episode we have wide ranging conversations with thought leaders from around the credit union community. What issues are facing credit unions? What are they working on to help? What leadership lessons and life hacks have they learned along the way? What’s the greatest album of all time? These questions and more are asked and answered. In this episode I had a wide ranging conversation with Maurice, a self-proclaimed cooperative nerd, about his idea that the time is right to add an eighth cooperative principle and the response he received from inside and outside the credit union movement. We discussed his path to where he is today and what his future holds as well as the life lessons he learned from his father and his inspiration to write the book. We wrap the conversation up with the rapid fire questions to get to know Maurice a little better. Listen to the full episode (and tell a friend about it) then check out the show notes and full transcript below. I had a blast recording this episode. In it we get a double dose of leadership and life hacks from Maurice and his father. I haven’t stopped smiling and telling people about it since we recorded it a few weeks back. I hope it puts a smile on your face and you leave as happy and inspired after listening as I did after having the conversation. Enjoy. Looking for a refresher on the Seven Cooperative Principles? We’ve got you covered. Shout-out to Joe Prater and the “Prater Principle” that Maurice has taught other leaders on board relations over the years (Joe didn’t even know he had a principle until a couple years ago). Randy Smith: Hello boys and girls of credit union land and welcome to the ninth episode of The CUInsight Experience. My name is Randy Smith. 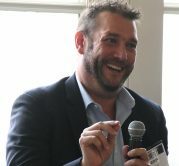 I am one of the co-founders and the publisher of CUInsight.com and it’s my job on the show to have conversations with the best and the brightest of the credit union community. I get to pick their brains and hopefully find a few nuggets that we can all learn from. My guest on today’s show is Mr. Maurice Smith. Maurice is the president and CEO of Local Government Federal Credit Union. When I would ask people who I had to get on the podcast, Maurice’s name came up over and over and then a couple of things happened and I knew I had to reach out to him and get him on the show as soon as possible. First, Maurice wrote this amazing article for CU Magazine that we’ve linked to in the show notes about why now’s the time to add a new cooperative principle. The second was that I found out that Maurice wrote a book for his family about lessons that he learned from his father, I had to talk about that. Maurice’s bio is long, I recommend you click on the link below and read that as well. In this episode we talked about why now is the right time for that cooperative principle. We talked about diversity and inclusion and then we talked about his book and the life lessons that he learned from his father. I’m holding it in my hand right now. I just received it from Amazon. It’s going in the backpack. I plan on reading it tomorrow on the plane. Talk about a double dose of the leadership and life hacks. We get all of Maurice’s knowledge from his long career, but we also get the bonus life lessons from his father that Maurice wrote about in the book. As always, we wrap it up with the rapid fire questions. To say that I enjoyed this conversation with Maurice would be an understatement. I left it smiling. I’ve been telling others about it since the day we recorded it. I hope you do too. So without further ado, I give you my conversation with Mr. Maurice Smith. Enjoy. Randy Smith: Maurice, thank you so much for being on the podcast. I was really looking forward to this. So thank you for taking time out of your busy day to day. Let’s just jump right into the questions you’re recently wrote, what I thought was just an amazing article for CUNA’s CU Magazine and that’s where I wanted to start. I can tell you that we had the article on CUInsight and it was one of the most read for multiple days, so I’m sure it did really well on CUNA’s site as well. The article and I’ll let you tell everybody about it since you are the author was about adding a new cooperative principle. Can you share with the listeners what that new cooperative principle is? And then number two, what motivated you to write the article? Maurice Smith: Absolutely. So some of the CUNA staff asked me to write an article about black history month and to just give them some impressions that I have about what the month means, and maybe some insightful thoughts about it. So it came to mind that we have these cooperative principles, seven principles. I live by them. I totally agree with them. They’re big with me. My entire 40 year career in the credit union business. But then the notion of about diversity inclusion and equity has been part of a conversation for the last year or so, beyond that. But, but I’ve been really engaged in it for the last year or so. And so I think about what did the cooperative principles say about diversity, equity and inclusion and how might we have a voice in that? So the thought is to add an eighth cooperative principle. I’m not smart enough to figure out exactly what the language ought to say except that the principals ought to be explicit about what does it mean to have diversity, equity and inclusion in our industry and to our cooperatives worldwide. And so this essentially was a thought provoking piece just to get people talking and just to see where it would go. So far I’ve received inquiries and feedback from the solar co-ops and the grocery co-ops, agriculture, electric co-ops who have had some concerns about, some thoughts about it, have all kinds of challenges to it. It’s been a great conversation to. I have looked forward to having these discussions. Randy Smith: Oh that’s fantastic. I mean outside of credit unions, people are reaching out to you in other cooperatives. That’s, that’s pretty amazing. Maurice Smith: As you think about some of these principles have been around from the Rochdale, you era mid 1800s started with co-ops in Europe. And so these are like stone tablets that come off the mountain and someone’s going to have the audacity to actually take the stone tablets and chisel are in a whole new principle. Of course it’s going to create some conversation. There may be some hesitation about it, some thoughts about what does it mean to our values, worldwide values for a cooperative themselves. So to me, I find it exciting to engage and have a discussion about it. Randy Smith: I would tell you, I think that’s why your article spoke to me was we can improve things, right? Just because they were written in stone, it doesn’t mean that you read that make things better over time. I absolutely loved it. From the credit union standpoint, what do you see as the biggest barriers that are out there to inclusion in credit unions? Maurice Smith: You know, so there probably are some challenges for credit unions as we think about this. So credit unions operate with a field of membership. We have a defined market for each credit union who can join the credit union. You know what qualifications are there for the services that the institution offers? So when you talk about diversity and inclusion and equity, then if really about how do you treat the market, the audience that you have for that credit union, this should strike a familiar chord with credit unions as you talk about diversity, inclusion and equity. So think about your cooperative principles. The first one about open memberships and you think about democratic control. Those are things that we as credit unions practice each and every day. And so the idea that we want to bring more voices to the table to have conversations about the governance of the institution, how we serve our community. That shouldn’t be a foreign concept for credit unions. But we think about how we serve our field of membership. So those are the things that each credit union have to navigate for themselves. And it’s not unlike the other co ops around the world depending on what kind of commodity and what services they offer for the community. They have to answer those same questions too. But I am really encouraged. I talked to my credit union colleagues who find this notion romantic and say, okay, how do we take a look at a principle that we’ve all grown up with and look for ways to make improvements in it. It’s been fun to have the conversation. Randy Smith: I have to imagine it is. I know I’ve talked, and you know Jill, she’s talk a lot about whether it’s the board of the credit union or senior management of credit unions is looking more like their membership. And that kind of leads me to my next question, is the first step, or is the step down this road of recognizing this almost as a new cooperative principle, maybe down the road, but even just taking those first steps, is it something that needs to be done on the individual level, at the credit union? Is this a systematic thing that needs to come from the top or is it all three? Maurice Smith: Randall, I tend to lean to ward grassroots efforts, you know, really reflecting a community’s ideals and having sort of work his way up the hierarchy of governance. But we start at the individual level. We as individuals want to have a seat at the table. No matter who you are, no matter what system of governance it is. It doesn’t matter what institution we’re talking about whether it’s co-ops, or talking about your local government in your hometown, you want to have a voice, you want to have a seat at the table. You want to be able to express what your needs and your interests are. You want to be valued for those. You want somebody to listen and you wanted to participate in the governance of those issues because you start with the individual by empowering me to make statements and to defend my position and then you go on through the institutional level that for the Credit Union, and the credit union say, this is good for us, it is good from a principle standpoint, it’s good from a philosophical standpoint, it’s good for business. We listen to our audience we’re listening to our membership. That hopefully credit unions say let’s have a conversation with our leagues, the leagues say, let’s have a conversation with our national association. The National Association said, well let’s talk about our brother and sister co ops in other industries in the United States and it works its way up. By that time we having all these different conversations, and discussions, the notion is getting smarter, it’s getting more informed, you’re getting more information and hopefully you’re getting more grassroots support for it. So to your question, I think you really starts at the individual and by the individual expressing what we need and then it works its way up to their hierarchy to the powers that be, it’s going to change the principles and then new stone tablets come off the mountain and we’ll see what they say. Randy Smith: Well, like I said, I, I thought it was amazing. I absolutely loved it. So I commend you on writing it. If someone is moved by it, what would you say to that individual? What’s the first step they should take? Maybe it’s a senior management person in a credit union and they’re like, he’s right, I want to be part of that movement. What’s the first step? Randy Smith: That we’re on to something, but we can be the leaders in that. I wanted to switch gears a little bit. Like I said the article we will link to below and make sure that everybody, uh, reads it again when this comes out. So you were at a meeting a few weeks back and Jill, who was a previous guest on the show, she had told me about a book that you wrote. And I will tell you that I was so intrigued by this. I was hoping that I was going to have it by the time that we recorded this, but I just checked Amazon and it’s arriving tomorrow by eight o’clock. So I have it up on the phone. You do. And I was able to read the forward and I think the first couple pages of the first chapter, and I will tell you that when I was reading this, I actually talked to my father about your book. After hearing about this because my grandfather just passed away last year and he was a storyteller always. But you think of how many are now gone. And so like what you’re doing, telling your father’s stories, before I talk about your book the whole time, can you tell everybody about the book and your motivation for writing this? Maurice Smith: So I guess Randall. It starts with my sister put me up to it. There’s no eloquent way of putting it. So the only son of four offsprings grew up on a small family farm near seaside town in North Carolina, a little place called Southport. My dad passed away 10 years ago. And my youngest sister says to me, you need to write down to stories and the lessons that dad shared with you because these are things he taught you that he didn’t teach us sisters. And I thought, no, you know same stories I have. She said, tell me a story. So I told her story. She said, nope, never heard that. I told another story. She said, nope, that wasn’t my experience. She said, would you just write them down? So what started out as a rough outline, then a manuscript, led to creating this publication and it was meant to be just a publication that I was going to give up to family and friends as Christmas gifts because a lot of them knew my father and I just wanted to share his essence with them, memorialize it for generations to come in. It turned into a publication that ended up on Amazon. I heard this speaker sometime ago, and forgive me for not remembering the name of the speaker. If that speaker hears this, she will remember that she said this. It stuck with me in the meantime, she said, we got two generations away from obscurity, and I said, what do you mean by that? She said, what do you know about your father? And knew a lot of things. He did this and we had these relationships and so forth. Great. What do you know about your grandfather? Well, let’s see. I know this and I think I know a little bit. What do you know about your great grandfather? And so in two generations, my life experiences maybe lost on a future generation. My Dad was instrumental in making me the person that I am for programming my life for setting examples for me that I’ve shared with so many and I didn’t want his essence to be lost. And so I took my sisters advice, let’s put some things down on paper and hopefully generations to come will read them and they will be inspired by some of the things that he’s taught me. Randy Smith: What are the amazing gift, I think for your family. There was an interesting part in what I could read before getting the book. You kind of mentioned that, that, I mean it was obviously a different time. So what he shared with you and his expectations for you were much different than for your sisters. It sounds like your father set your path to credit unions when you were very young, like 14 years old. Was it that, he was like, what are you gonning do when you grow up? Maurice Smith: Exactly. People ask me Randall, how did you end up in the credit union business? When did you decide that you want to have a life in finance? It started when I was 12 years old, 12 years old and on a family farm in a potato field. So the manuscript and the book talks about the different life lessons he’s taught me along the way and this was the first lesson that I chose to write about. So at 12 years old while out planting potatoes and he turns to me in the middle of the field and said, what are you going to do with the rest of your life? I’m 12 years old, 12, so I thought, no, this is, this is a meaningful moment. Even as 12 years old, I thought this is going someplace. So I asked my dad, could I have 24 hours to think about it? He said, that’s fine. He said, if you don’t choose a career, 24 hours, I would choose one for you. He said, son, the reason why we do this is you don’t have the luxury of going through life without having goals and ambitions in front of you. He said, it’s okay if you change your mind and decide to do something else, but you substitute one goal, another goal. So the next day we took some farm receipts to the local community bank. A bank in Southport, North Carolina. We’re standing in the teller line waiting to be served and I glanced to the side and there’s this gentleman sitting in a glass office, a starch white shirt on and certificates on the wall. He looked really important. I turned to my dad, I said, Dad, who is that? He said, that’s the bank president. And without any hesitation whatsoever, I turned back to my dad. That’s what I want to do. I want to be a bank president. Now, truth be told, the bank president didn’t have dirt on him. He didn’t have his back hurting from picking cucumbers that morning and he wasn’t out in the hot field. That looked pretty nice being in an air conditioned office. So my dad turns to me and changes my life completely. Now he did not go to college. He served in the air force. He’s a successful business person. And I had never seen an African American sitting in a white collar job before, my dad turns to me and says, then you need to go to college. You need a major in business and I will help you. And so from age 12 to 18 when it was time to leave for college, he would quiz me in the fields about Keynesian economics and supply and demand, how money works. The disparity of economic power between community, compounding interest, having good credit rating. We didn’t have credit scores back then. How do you save money? The rule of 72 these are self taught principles my dad had that he shared with me how money works. Randy Smith: When you were 12 did your dad already know all those principles or was he educated himself along the way to teach you? Maurice Smith: You know, Randall. That’s a really good question. I have never pondered that question. And if I had to speculate, he spent his evenings learning the principles. So when he and I were out in a corn field or driving to the farmer’s market or picking cucumbers, he was taking that time to tutor me on things that he has picked up for himself. Randy Smith: I could see why you wrote the book and I’m sure for your sisters and for your children, to hear those stories that you had the opportunity to hear even back then that you know an experience that they never did. So now you’ve given them. Did you enjoy the process once you got into it, putting it all down on paper? Maurice Smith: You know, it was rewarding going down memory lane, it was eye opening on some of the lessons. So I not only had to review and revisit moments with my dad, conversations with my dad, but also review lifelong lessons as an adult and connection the dots between the two, it seemed fairly organic. If somebody lessons I’ve learned in life as an adult, I use a principle that he taught me, but I didn’t quite connect all the dots until I started writing the book and then I started writing them down and saying, that’s how I arrive at that ideal. And that’s why I believe what I believe. And that is why I chose that path versus another path because his voice was constantly in my head about here’s right, here’s wrong, here’s what it means to be a man, here’s what it means to take care of your family. You have responsibility to your community. Here’s what citizenships stand for. Here are the things that you expected to do to be a responsible person. And I’ve used those guidance and sort of guide post for what I’m supposed to do. Hopefully we pass that along to our two children and hope everything, you think as young kids, they’re not paying you any attention. Then they’ll say somethings, you were listening to us. So absolutely yes. Maurice Smith: Randall. He did. He had the opportunity to see that and I believe everybody in my hometown followed my career from what he told them about it. He was my biggest fan Yes. Randy Smith: I love that and I just greatly appreciate you being willing to talk about it. So I think it’s an amazing story. So, um, and like I said, I think the book and the life lessons that you learned from your father ties into the second part of the podcast, which is about leadership and life hacks and life in general. And hopefully we can find some things that you can part on future leaders. You know, like some nuggets they can take from you and your distinguished career. I’ll ask the first question that when you were 12, you wanted to be the bank president, what is it about credit unions that inspired you to not only get into the business, but to become the president and CEO of your credit union? Maurice Smith: Well that’s a good question. Randall. So going to college, we talked about banking and economics and you know, venture capital banks and all kinds of stuff. You know, you’re talking about the investment banks and Wall Street and it was not a single course about cooperatives or credit unions. And so I learned about co-ops after I graduated. I said, wait a minute, I can practice the discipline of banking, how banking works at operational standpoint and from a commodity standpoint. And I can do it when an institution that has a soul or taking care of its members and its community. How did I not know this before? And so I started my career in 1979 as a loan officer for State Employees Credit Union, worked there for 13 years before coming to Local Government Federal Credit Union. So when I came over to Local Government Federal Credit Union as an Executive Vice President, I already knew something about the credit union, some of the members of the credit union through the State Employees Credit Union branches. And so this just seemed like I was coming to another home. Okay. So this is my 40th year in credit unions, just this year, if I haven’t said that before, and I can’t think of anything else in life I’d rather be doing than this. Randy Smith: Well, it makes for a beautiful career, right? Maurice Smith: Yes sir. Yes sir. Randy Smith: Has that inspiration changed over the past 40 years? Maurice Smith: Not one iota. I’m not sure if iota is a word or not, I love what I’m doing, but you know Randall. When you reach a point in your life and you realize I was built for this, I was groomed for this. I prepared for this. This is the lifestyle, this is the career. This is my life’s work, this is what I’m supposed to be doing. It all comes together. There’s a question I often ask applicants that we hired for our credit union and I asked them what do you want your life story to say? And they’ll think about it for a moment and say I want to be known for this or that. I said, don’t talk about your career, your life story. I said, case in point, someone’s going to write my life story someday. It’s usually called in the obituary, but they’re going to say something about our family friends and I’ll come around and it’s the only thing they can say about me is he was a really good credit union employee. I kind of consider that a failed life. Randy Smith: I understand that completely. Maurice Smith: But to work at an institution that allows me to pursue the passions that I have for helping other people, for being a participant in the community, trying to do good in the world and I get to do that in my occupation at the same time. I consider that a win win. Randy Smith: I was going to say, my guess is from picking cucumbers with your dad too last year at GAC you were in the White House. I imagine that. So a couple of questions because again, I know your career is very distinguished, was that the first time to the White House? Maurice Smith: My very first time, so I become the chair of CUNA. About noon. I’m meeting with President Bush 43 we just want to take him home. He’s such a gracious gentleman and then two hours later I’m meeting with president Trump. In the Roosevelt Room of the White House. So you know, from my experiences, Randall, forget about what you might see on cable news and all the other things that might come along. My experiences with president Trump, but he was knowledgeable on our issues. He was read up on it. He was authentic. He was friendly to me. He was a little bit joking with us, you know, we’ve found like we could hang out for a while, but just a mystique, a being in the White House just really was just, a kid from small farm in Southport, little country boy in North Carolina, and he’s sitting in the Roosevelt Room of the White House of, the greatest nation on earth with the president of the United States. You know, it was a great way to kick off this year. Randy Smith: I was going to say there had to be, I would assume that’s what of those times that you’d kind of take a pause and go, wow. To me. Right. I had to ask you about that. But last year, at GAC last year and we talked about it with Jim on the very first podcast was just how it didn’t matter your politics. I think everybody loved the conversation with President Bush. He just, he didn’t seem, just like a good guy. Absolutely. That was a lot of fun. This is a a scratch my own itch question and I will tell you that I added this question, but it came from when I was doing some research on you, on the inter webs and seeing them all that you’re involved in and even reading the foreword of your book, outside of credit unions you’re very involved as well. So the word time management sounds Cliche, but how do you choose what to spend your energy on with such a busy life? Because I’m assuming that there’s a lot of asks of your time and maybe sometimes more importantly, and this is one of those things that I feel like I’ve learned over time a little bit and I still struggle with it, is sometimes it’s the saying no that’s important so that you have room to say yes to more meaningful things. You have a trick here for us that maybe struggle with that or how do you, how do you pack it in such a full life? How about that? Maurice Smith: Randall, I was hoping you have some ideas for me. Randy Smith: I wish I did. Maurice Smith: I struggle with that and my wife would, she would admit that I struggle with it. She admonishes me on you need to start seeing, no, you have to take care of yourself. You have to sleep more than four hours a night. Do you really need to take some time for yourself? And I really do struggle with that. But you know, part of the reason why we struggle is Randall, if you’re in this business, this business of credit unions, of co ops, and you recognize the needs in the community, then you try to find ways to maximize your opportunity to take care as many people as you possibly can. It’s really hard to say no when there’s a need on the other end of that request. And so I find myself stretching myself too thinly. We have this philosophy here at our credit union. The answer’s always yes. If my board asked me a question, Maurice can we do whatever? The answer is yes. Now there’s some provisos, providing as legal, provided we can afford it. Provided we have the scale, providing the market will accepted it. There’s a number of things. But when you go straight to yes, it forces you to look for innovative ways to make it happen as opposed to going to no and looking for ways to try to defeat a proposition. So in my personal life, I go straight to yes first decide is there a way of getting his done? Can I delegate it. Can I find a contractor cannot find a way to create an opportunity for somebody else to fill that need. But let’s try to feed out an innovative way of taking care of the need. We’ll worry about the resources and the scale later. Randy Smith: You used the word that I know a lot of young people or young leaders, I will say, as they’re getting maybe into management struggle with, delegating, we want to do it ourselves. We love it. This is what got us here. We’ve worked hard. So now to pass that off, I know it’s something that I talked to my team about a lot, where I’m like, you need to delegate that. Any tips there? Maurice Smith: You know, I’ve had to learn that lesson over the years about the importance and the necessity of delegation because it’s so much easier if I just put my hands on it and go do it myself. But part of the role and part of the responsibility of a leader of any organization is to help develop your colleagues and their particular crafts and the only way they’re going to develop, get better at what they’re doing, to hone their skills. If you allow them to practice their skills, give them more responsibility, letting them take some chances, exercise their judgment, go ahead and make a few mistakes. So hopefully not the kind of mistake that’s going to sink an enterprise, like you allow them to grow. You know, Randall. Somebody had to allow me to grow at some point and I thanked him for having the confidence and giving me the opportunity to take a few chances. It’s my responsibility to pass alone those opportunities as well. Randy Smith: That really goes in to a question that I have and I’m not sure if you’ve thought of this, but if I were to ask your staff, your team, what’s Maurice’s management style, what’s he like as a leader? What would they say your style is? Maurice Smith: You know, that’s a good question. We’ll have to ask them one day. I hope they would say that it’s participatory. That I want to hear all the voices in the room, that I wanted to make sure everybody participates in the conversation, and the reason why I hope that Randall, because if I think about mistakes that I’ve made in my career in the past, it usually comes down to the fact that I did not identify all of the issues. I didn’t think about all the alternatives, what options were available to me. I didn’t fully consider all the costs or what the break even might be for it. I went into a decision uninformed and completely unprepared and that’s when I have fallen flat on my face. So as we come a cross equations here at work, decisions that have to be made, we’re contemplating a strategy, and when it’s time to pull the trigger and make a decision, I’m constantly asking myself, do I have all the information? Have I asked everybody who needs to be here? Do we have everybody around the table that needs to be here? And I’m hoping that kind of participation makes us smarter as an organization. But I’m hoping it makes me smarter. You know, as an employee as well. I’m hoping my people would say participatory. Now it doesn’t mean that from time to time you have to make a command decision and say let’s move. I mean a torpedo is coming to sink ship. Somebody has to make a decision to say, get out of the way and do something. Randy Smith: The buck does stop with you in the end. Right. Do you think your style has changed? I mean you’ve been in a leadership role for quite some time, so from that first day as the new CEO, the new president and CEO, has your style changed over that time? Maurice Smith: It has changed, but it’s become more participatory. So early in my career I was more inclined to believe that I had the right judgement on the issue and I would treat an equation, treat an issue or a problem from an academic standpoint, like reading a case study and a textbook. I would sit there and think these must be all elements. These are the considerations I should have. Here’s the likely outcome. And I would sit there and rationalize it for myself or just a small group of individuals. As I’ve learned over time that it takes different individuals to come to the table with different perspective. We talked earlier about diversity and equity and inclusion that is all about having people with different points of view come in and help you make an informed decision. And so I’ve learned over time, if anything, the room’s not big enough. I don’t have enough voices around the table. I’m not hearing enough perspective. So if anything over time I’ve learned to become more participatory, invite more individuals and sometimes your best advice come from people who have nothing to do with your industry, has nothing to do with the problem. They are far removed from the equation and it will come along and identify your blind spot every time. Randy Smith: That leads right into a question that I’ve been asking every guest on the show. And the question came from a podcast I was listening to where the CEO of Walmart was on it and he was talking about that when he runs into a problem or an issue at work, he will have these like fire days where he just tells his assistant to clear his schedule and he draws on, I saw you have whiteboard walls behind you, and draws out problems by himself. It’s what he does. So I thought it was such an interesting question, if you run into a problem, is there something that you do, is it that you reach out to people outside? Just get that different look at it, hopefully bust through it and come to the other side. Maurice Smith: So 10 years ago, Randall, before my father passed away, I would call him. Who did not work in the financial services business and I said Dad I have this issue. He would say explain it to me and I’d explain it to him and then he would come back with some insight, not on the technical aspects of how to fix a problem, but son, maybe you should think about it this way and have you considered this. And so that gives me an opportunity to get outside of the four walls in my office and get a completely different perspective. I search for those opportunities today and so there could be an accounting issue that crops up here but I might need to go down to the marketing people and talk to them about, did you have an idea on how we can solve this or they might be something going on with our management information services. The IT people and I want to go talk to internal audit, do you have an idea about that because I want to hear different points of view, different perspectives about it and when I’ve done that, we usually get to a much better answer then had taken a unilateral approach and saying this is the only discipline I need to talk to isn’t the only answer we are going to get. And when our fallen flat on my face, you have to approach I’ve taken. Randy Smith: So is there something that you’ve said over and over again in your credit union, to your team, that they can finish your sentence? Maurice Smith: Oh, that’s a good question. You know, I’m not exactly sure, I probably have several refrains that I share with them on a regular basis, except what I’m missing you early about the, the answer is yes. I will repeat that often. I have had that come back to haunt me when I’ve asked questions and my colleagues have said yes, yes, I said, wouldn’t mean, have you thought that through? I said, no, but we’ll figure it out. Randy Smith: But we know that’s the answer. So we’ll get it done. Randy Smith: That is great. This is a question again that I’ve been asking every guest and I was really excited to ask you this one because my guess is, was there, I think we’ve even talked about a few of them, so I don’t know how you can come up with one, but is there a life lesson, a piece of advice that you received at some point that you constantly find yourself going back to almost like that centering thing and what we’ve talked about your dad, it seems like from your father there might be, there’s a whole book of them? Maurice Smith: There are lots of lessons from him. So working in a credit union, reporting to a board of directors. I’m kind of a corporate governance geek, you know, I’m a nerd about all things governance. Just the whole system of decision making that goes on the credit union, you know, I just, it absolutely fascinating. So I arrived at Local Government Federal Credit Union in 1992. I’m the second in command, executive vice president, and my successor and I are reporting to a nine person board and one day one of the board members called me aside, his name is Joe Prater. Joe Prater was the finance director for the town of Garner, was a local community, a bedroom community to Raleigh. He said, Maurice, you know a lot about credit unions and it’s obvious in the writing that you provide to us, the memos, the presentations, you give us a lot of detail about how credit unions operate from an operational and logistics standpoint. Now I need you to stop. I said, Joe, what do you mean? He says that when you come to a board meeting and you endeavor to make me just as smart as staff, to know all about the details, the inner workings of a credit union, then you have turned me as a board member into a staff person. I will think about logistics. I would think about all the small little finer details and as a result our board meetings will turn into one big staff meeting. As a director, I need to think about the big lofty goals. I need to focus on the strategy, what’s on the horizon, but when you point my attention down into the weeds of the organization that I don’t have the perspective of seeing what’s coming around the corner, what innovation is occurring. He taught me that lesson. So from that point forward it became the Prater Principle for Joe Prater and as I bought new managers into the organization and have opportunity to talk to them, those who have insight and contact with our board, I say, let me talk to you about the Prater principal. So about two years ago I ran into Joe Prater in the local hardware store. I said, Joe it’s good to see you. We shook hands and we started, caught up a little bit and I said, Joe, I’m still telling people about the Prater principal. He said the what? Randy Smith: I don’t even know about it. Maurice Smith: Back in 1992 I shared with him almost verbatim the advice he gave me. He said, you remembered that and it’s become codified at one of the operating and you know, management principles of our organization. Joe’s long been off the board, but he said, well thank you for remembering that. But that was a piece of advice that stick with me today and as I serve boards is making sure I give them the tools they need to be successful and not unwillingly pour them into the staff and make them one of us. Randy Smith: He didn’t even know you had a principal. That’s a great story. I love that. If you have a free day on the calendar, which probably doesn’t happen often, maybe your wife would like you to have more of them. What’s the passion outside of the credit unions? Where did you do to recharge? Maurice Smith: You know, I get recharged by mission driven types of things. So Randall, at the age of 42 I went back to school to get my law degree and I did that because I wanted to learn what it takes to think like a lawyer, to rationalize like a lawyer, to reason like a lawyer, but also there’s unfairness in the world and I wanted to play a role in trying to right some wrongs. So outside my credit union world, I provide representation and council to boards of nonprofit organizations. So you are a nonprofit organization. You have some of the same kind of business risks as a for profit institution do, and if you’re a fledging organization that’s providing an important social need for the community, you may not necessarily have the funding and the resources to pay for a lawyer to sit at your board meetings, to look over your contract, to help you think about, you know, how do I mitigate some of the risk of operating our nonprofit. So in my spare time I provide pro bono services, free services to nonprofit organizations who need some legal guidance, who need just a little bit of help on the side to help them think through strategically some of the things they ought to be doing. I find that to be a fun Saturday. Randy Smith: That’s a good Saturday. Wow. You went out and got the law degree at 42, that’s fantastic. When a GiGi Hyland was on the show, she talked about her mother and her mother went back to law school after she had her children, but it was that idea, okay, just keep going here. Right. I want to be respectful of your time, so I’d like to get into what I think is the fun part of the show and ask you some rapid fire questions so the questions are rapid, your answers do not have to be. First one. Is there a daily routine that you have that if you just don’t do it, your day feels off? I journal in the morning. I kind of dump everything in my head to paper and then I move on with my day and feel much more productive. Do you have anything that you just have to do every day or the day just feels off? Maurice Smith: My day usually begin around 4:45 – 5:00 in the morning. I’m an early riser and I script out my day. So when I arrived to the office, if the world is all perfect and nothing goes wrong, I pretty much know exactly what tasks I want to have accomplished by the end of the day. That usually does not happen, you know? So at least I have a plan. Usually by the end of the day I talked to the trashcan and start over again, but, but I script my day out at the beginning of each day. if I don’t do that I feel like I don’t have a plan for which I should attack things that are on my desk. Randy Smith: Do you write this down, in a digital way? Is it a legal pad or a notebook? Maurice Smith: it is written down on anything I could get my hands on, the corners of a newspaper, paper towel, anything I get my hands on. I’ll make a list out of it. Randy Smith: Perfect. The a random question and we’re going to make one heck of a playlist at the end of the year off this, but what’s the best album of all time? That one you can listen to from the beginning to end or you’d take with you on a desert island if that was the only thing you could bring? Maurice Smith: Well it probably wouldn’t be something from Snoop Dog. Randy Smith: Not a snoop Dogg fan, huh? Maurice Smith: I like some of the oldies, so take something like Stevie Wonder, Songs in the Key of Life. Randy Smith: I’m a born and raised in Detroit guy, so I understand, I was brought up on it. That was what was playing in the house when I was a kid and so that’s fantastic. That’s going to be a good one for the list. I’m a big reader also. Like I said, I’m looking forward to your book. Besides your book, is there a book over your lifetime that you’ve gifted or recommended others to read more than any other? Maurice Smith: There’s a book I’m working on my second time of reading and want to makes sure that I didn’t miss some principles in it. It’s called Judgment Days and it chronicles the relationship between President Lyndon Johnson and Martin Luther King. So you have gentlemen here who from opposite end of the political and sociological spectrum who came together to work together to create, you know, pivotal, you know, legislation for our society. So as you and I will think about today’s issues, whether it’s cooperative principles or whether it’s diversity, inclusion and yet there are lots of reasons for us to be divisive on a number of issues. But if people are committed to making good, positive change in the world and they come together and common ground, they can create amazing things. And so I read the book of second time just to make sure I didn’t pass something along the line because I want to make sure those principles and those ideas and those leadership lessons are things that I instill in my field and use those in the future. Randy Smith: You just added a book to my reading list, it sounds like a great read and we’ll link to that as well in the show notes. So if anybody else wants to check it out. As you’ve gotten older, has anything become more important to you? And on the flip side of it, what’s become less important? Maurice Smith: Good question. Time has become more important to me. You know, Randall, I’m trying to be very mindful of the moment and of the day, and activity, to company of good friends, conversation. Time is important to me. And you know, I turned 62 years old this year and time is moving by really quickly. And as I think about the future, what do I want to accomplish? What do I want to be? What improvements do I want to make for my community, for my family, for my life, and time, you know, that’s a perishable commodity. Randy Smith: That’s the one we can control. Maurice Smith: Absolutely. I’ve come to appreciate it more and more and take advantage of the opportunities that I have and the things that I want to move out of my life is idleness. You know, because I don’t have a whole lot of free time. Mostly because I don’t free time for myself. Usually if I have free time, I’m exhausted and I just usually, you know, pass out from sheer exhaustion she or something. But I want to make sure I’m taking advantage of every moment to be productive. So anything that’s going to keep me off course, for what’s important for our membership, for credit unions, for the community, for the charitable things that we do for our neighborhoods. If it’s going to keep me off course from that, I’m going to try to avoid it. Randy Smith: I’m going to throw in an add on question to this. Sure. What advice would you give to your 25 year old self? Maurice Smith: Oh, 25 years old. Oh, that’s a long time ago by the way. Randall, I would tell myself to enjoy the ride. Don’t be quite so anxious. Life is going to turn out just fine for me. That, you know, we’re gonna have a beautiful family and you know, things are going to go well. In terms of my opportunity that I have, I would tell myself just relax and enjoy the ride. Randy Smith: Enjoy the ride. The final question. It’s the one that I didn’t send you. Top of mind, first person you think of when you hear the word success? Maurice Smith: Success. Oh, it would be my father. Randy Smith: That doesn’t surprise me at all and I think we can all read the book to find out why. To me that is the perfect way to wrap this up. Once again, Maurice, I thank you so much. I’ve enjoyed this so much for you taking the time today. Is there any final thoughts or any ask that you have of our listeners? Maurice Smith: I thank the listeners for taking an opportunity to just hear a few words from me. You know, I don’t take this for granted. Everybody’s busy. I believe. There are more asks and more demands on our lives and our livelihood and our time than we have capacity and scale to address everything. And to the extent any of your listeners took the time to spend this moment with us, I’ve deeply cherish and appreciate that. Randy Smith: And I echo that and I thank you again, Sir, so much for your time. Randy Smith: And with that, I hope everybody enjoys. Have a great day.